Tipped as one of the hottest artist of 2016 and winner of BBC Music Sound Of, Jack Garratt has a lot of pressure on him to do well, and so has released his highly-anticipated debut album Phase. With his first song being written at just 12 years old, and Frank Ocean's blend of different musical styles being his main inspiration for his single 'Breathe Life' and is now a part of Phase. 'Coalesce (Synesthesia Part II)' is the album's opener, and not a great one. The dubstep used in the song makes it sound like a mess that a beginner who's getting into dubstep has come up with using equipment costing no more than £50. 'Far Cry' sounds like it belongs on a funeral playlist, and would hopefully show off his questionably original voice, but it sounds just like all the other slow songs out there on the radio. Even the introduction of a choir on 'Weathered' didn't make it sound any different to what's already playing, in fact it sounds like something JLS had rejected from their Pop past. It seems as though the sound of each song is continuing throughout the whole album - unwanted, like hearing a boring story that never ends. Towards the close, there's a 'Coalesce (Synesthesia Part III)' and the third part doesn't get any better - the two and a half minute track almost brings the end, with 'My House Is Your Home' closing the album, with the sombre notes finishing the whole sorry saga, but showing what potential the entire album could have had without all the autotune and electronics getting in the way. There's no track on this album that would call it revolutionary or anything special - more like mediocre and meant for the mainstream of today, which means it will phase out soon enough. 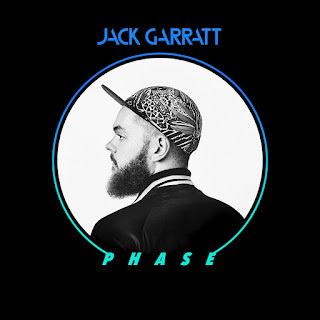 You can buy Phase on iTunes, Amazon (US | UK) and stream it on Spotify. Follow Jack on Facebook, Twitter and Instagram to see what he's up to. Don't forget to follow me on Bloglovin', Twitter, Instagram and Facebook to see what I'm posting next.